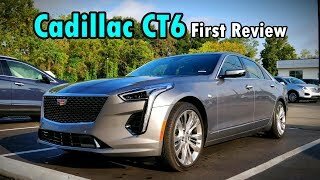 Cadillac is trying to play with the big name brand luxury manufacturers with their CT6. 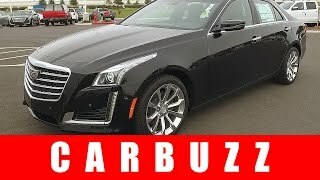 Are people really ready to spend $60,000+ on a sedan from a brand like Cadillac? Only time will tell. I would love to meet the fool that pays this much for a four cylinder turo. 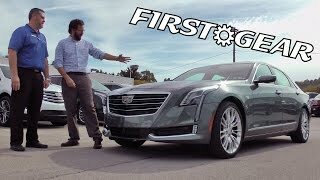 In the demo they showed me in the Cadillac driver experience event, the driver drove the car to a fake stopped vehicle, the car stopped by itself slowly. The low speed is from 5MPH to 50MPH. In the accident that I described, shouldn't the car stop by itself? I think it should. 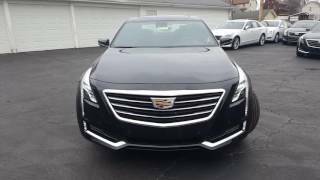 But everyone from Cadillac said it is not reliable and I should not count on it. 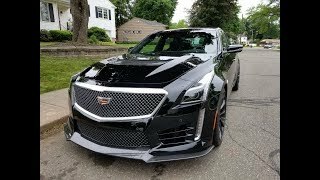 The manager of the service department said they cannot test or service this feature and ask me to talk to Cadillac. I want someone to show this car can stop by itself. Is this too much to ask? the driver experience event, they also showed the car can stop for a moving fake pedestrian. The event was hosted in a parking lot of NRG stadium in Houston. The demo person gave me a scenario. "You just got out from a football game at night and you had several drinks during the game. You were driving the car out of a parking lot. A pedestrian suddenly came out between cars and your car stopped by itself. It saved your day. It would be great if the car can really do that. But everyone from GM knows the car is so unreliable and they still promote this kind of unsafe driving. This kind of promotion trick will have someone killed. What a sick company!!! 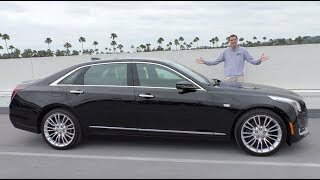 Ugly car for $62K...I’ll stick with Toyota and Lexus, no comparison! is the wood trim real or plastic? Lack-Luster review. when first seeing the steering wheel I didn't like the buttons, tho now my only problem is with the 4 spoke design, 3 spoke makes for easier wheel turning... I see nothing else to complain about there. this guy was too busy complaining to give more details. 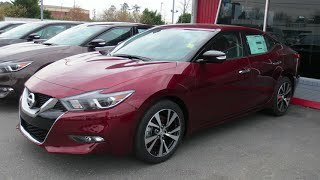 never mentions y it's rated for 22 city mpg--other engines available... the sound system options---34 speakers u can get. 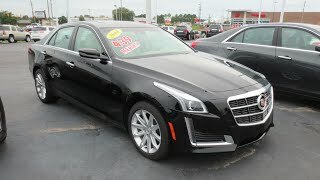 also nothing about the all wheel drive models, the rear steer feature, or even how the center armrest opens from both sides. the car is right there, why complain about in infotainment center & not turn it on n show what u mean. 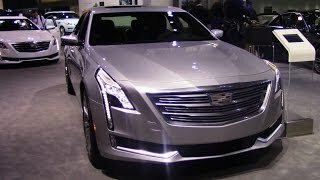 I love Cadillac; the brand is so flashy, flamboyant, and just F'n cool. 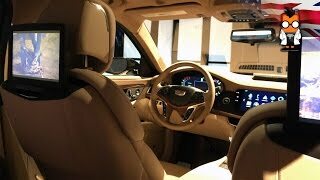 All their current models are classy as heck with one of the most unique industrial design languages and best interiors, period. 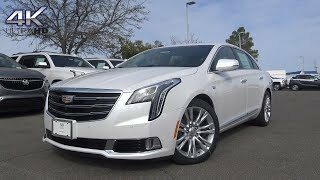 In a sea (here in SoCal) of BMWs, Mercedes, Lexus, etc, you rarely see a brand new Cadillac, but when you do, it stands out. 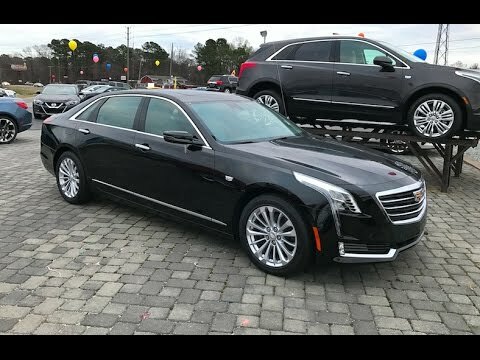 Every-time I been in a new Cadillac, (recently the 2017 XTS and CT6, I rolled in both) me and my party always got compliments and thumbs ups in both. That never happens in any of the other luxury brands I'm in. It's one of those rare brands that still have a very unique cachet to it. 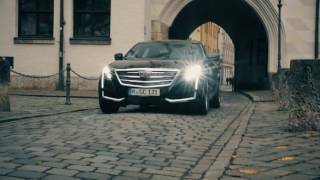 Those cars look best at dusk with their flashy front ends, and very large super bright unmistakable signature vertical LED accented headlights and illuminated LED door handles, come on man, Cadillac is flashy AF. 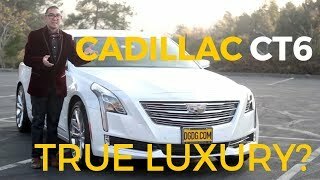 Anyhow, if you're rolling in a brand new Cadillac, you're a boss, IMO. Also, I love the new logo, how prominent it looks, it kind of looks like Batman's throwing star, which is pretty rad - it gives a great presence to the cars with how large it is on the front end. 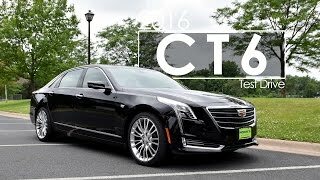 And the CT6 specifically, is probably one of the most striking looking vehicles on the road, period. So cool. Thanks for the review. Subscribed. Congrats on passing 4k subscribers! One is the back up camera and the other camera is for the rear view mirror screen. Don't think I would ever spend that much on a car. Personally I would say $55,000 is the top amount I would buy a car for. It depends on what you describe as amazing. 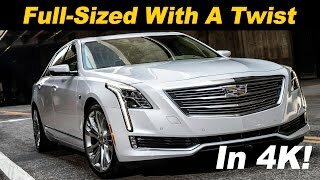 It's not as cushy and soft as the XTS, (one of the most comfortable on the market), but, it' handles great, very sports car like, for it's size. 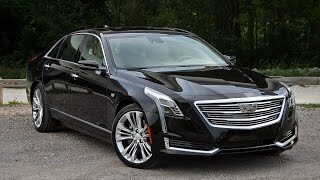 (which Cadillac wanted, so it'd take aim at BMW with driving dynamics). 2.0t in that, no thanks. I'd personally go for the LS and G90 before this. +northstar15 The 3.6 seems like the best engine to go with. Except I wouldn't spend more than $65k on this. 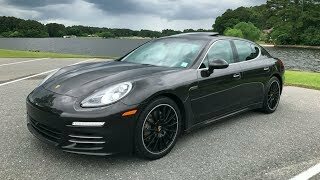 Agreed.No 60K car should have a 2.0 turbo. 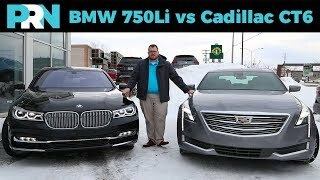 You would have to spend more to upsize to the V6 or the turbo 6. 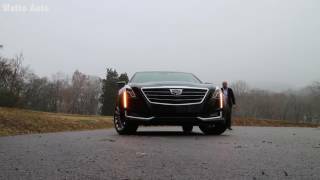 2017 Cadillac CT6 Review and Road Test - DETAILED in 4K UHD!